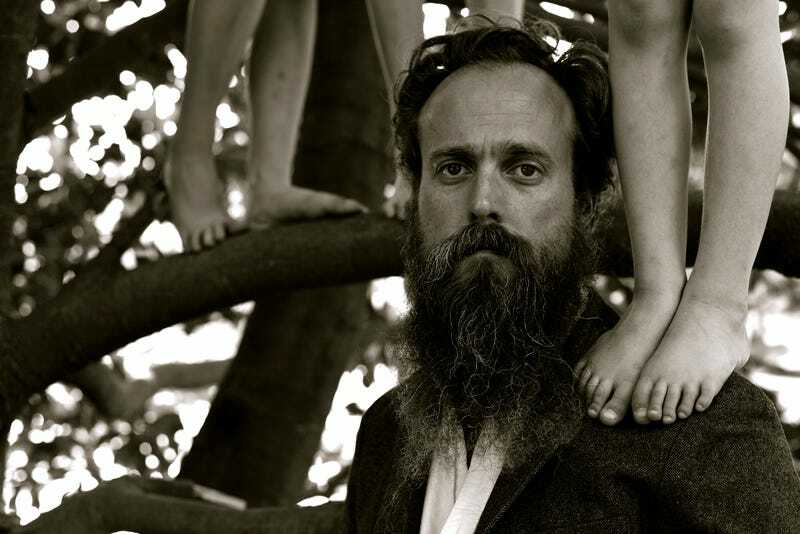 The trajectory of Iron & Wine’s sound has been, generally speaking, from simple to complex. People fell in love with Sam Beam’s earliest recordings because they were almost frighteningly intimate: 2002’s debut The Creek Drank The Cradle consisted of home recordings on which Beam’s breath was sometimes loud enough to compete with his voice and guitar. But each successive album added layers to the sound. From the more pop-focused Kiss Each Other Clean to the jazz color of Ghost On Ghost, there was marked evolution, though never a total break from the past. Only glimpses of his quietest, most intimate days poked through in recent years. 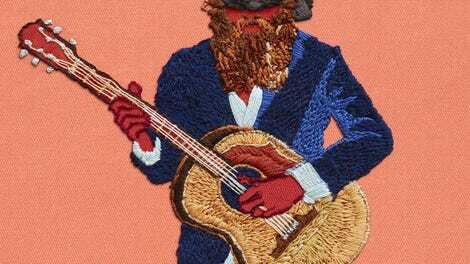 Beast Epic, the sixth Iron & Wine full-length, feels like a bit of wish fulfillment for longtime fans, as Beam takes a step back toward simplicity, but brings along everything he’s learned in the 15 years since he started. And while this set doesn’t lose every accoutrement, it’s markedly more straightforward than his band has been in a decade, apparently by design: Beam and a more stripped-down group of musicians recorded the set live, with minimal overdubs, at Wilco’s homey Loft studio in Chicago. It sounds fantastic. But more important than that: Beam has written his most affecting, impressive set of songs in a long time—maybe ever—and that’s saying something for a guy whose songwriting rarely misses, even when he’s stretching his sonic wings. Beast Epic strikes a perfect balance between gorgeous and world-weary from the first note to the last. A deep, resigned sadness runs through some of the best songs: The first four are unmatched in his catalog for lyrical deftness and unadorned beauty. “Claim Your Ghost” is the most impressionistic, with its refrain of “killers let go,” while “Bitter Truth” turns a withering relationship into a transcendent folk-pop song. (Imagine these words, sung in a honeyed voice to a beautiful melody: “You would rage how I was wrong / That life was too short / And you’d stayed too long.”) The sweet heartbreak continues into “Last Night,” with its gently plucked strings accentuating the finality of its words. It’d be convenient to pack Beast Epic in a box marked “midlife crisis,” but that would cheapen its breadth. Beam cryptically describes these songs as speaking “to the beauty and pain of growing up after you’ve already grown up,” which, unsurprisingly, sounds a little more poetic. But whatever the inspiration, Beast Epic perfectly distills a career into a nearly perfect collection. You can’t go home again, it clearly realizes, but sometimes looking backward—in this case, both sonically and at a difficult time—can reveal something beautiful ahead. Purchasing Beast Epic via Amazon helps support The A.V. Club.